The girlfriend of a black man killed by a Minnesota police officer during a traffic stop was expected to return to the witness stand Tuesday in the officer's manslaughter trial, which opened with differing accounts about whether he saw Philando Castile's gun before firing. 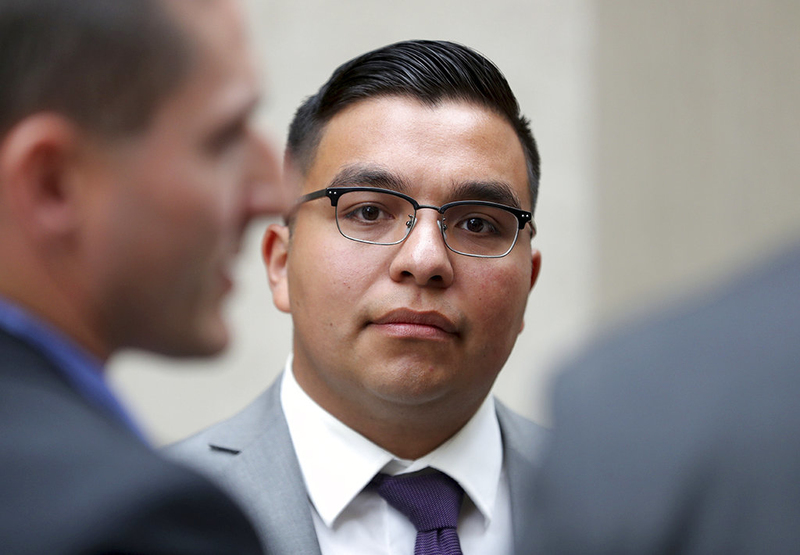 Officer Jeronimo Yanez is charged in the July 6 death of Castile, a 32-year-old elementary school cafeteria worker, in a St. Paul suburb. The fatal shooting little more than a minute after Castile was pulled over for a broken taillight captured the world's attention as his girlfriend, Diamond Reynolds, livestreamed the shooting's aftermath on Facebook. During her testimony Monday, Reynolds discussed her life with Castile and the events of the day he died, though she has not yet talked about the shooting. Her testimony was expected to continue Tuesday. Prosecutors played a portion of squad-car video in their opening statement in which Castile informs Yanez that he is carrying a gun. "OK, don't reach for it then," Yanez replied. Castile started saying he wasn't reaching for it, but the officer interrupted and said, "Don't pull it out." "I'm not pulling it out," Castile replied as Yanez opened fire. Castile's last words were, "I wasn't reaching for it." 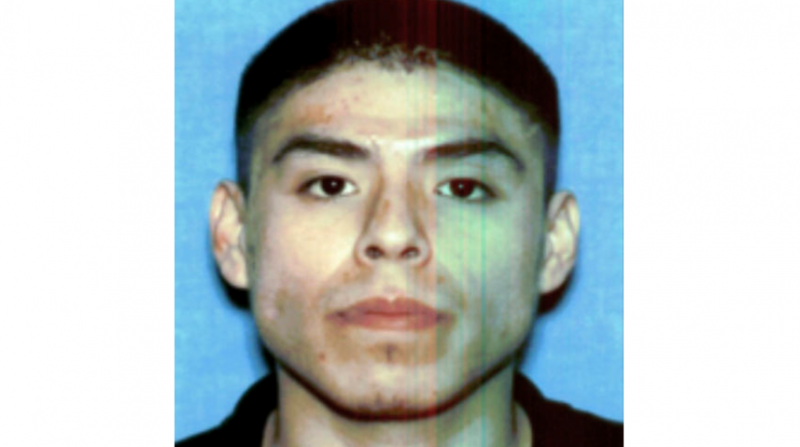 Prosecutor Rick Dusterhoft said Yanez, who is Latino, can be heard on the video in the minutes after the shooting, telling a fellow officer he didn't know where the gun was. That portion of the video wasn't played Monday. Dusterhoft said nobody saw the gun until paramedics found it in Castile's pocket. But defense attorney Paul Engh countered that Castile ignored his commands and reached for his gun. He said Yanez will testify that he saw Castile's hand on the grip. He said Yanez then followed his training and made an instant decision to open fire because he believed his life was in danger. "But for Castile's continuous grip on that handgun, we would not be here," Engh said. Castile's death was a tragedy, "but a tragedy is not a crime," Engh said. The jury was seated earlier Monday after defense attorneys unsuccessfully tried to block one of two black jurors from the final group of 15. Attorney Earl Gray argued that the juror, an 18-year-old woman who emigrated 10 years ago from Ethiopia, didn't understand the criminal justice system well enough to follow the proceedings. Prosecutor Jeff Paulsen said Yanez's attorneys wanted to block the woman because of her race. Judge William Leary III kept the woman on the jury. A young black man who manages a Wendy's restaurant is also on the panel. Black representation in the group of 15 roughly matches the black population of Ramsey County, which includes St. Paul and several suburbs. Three of the 15 jurors are alternates, but it isn't clear which ones. The death of Castile was among a string of killings of blacks by police around the U.S., and it renewed concerns about how officers interact with minorities. Castile's family claimed he was profiled because of his race. Minnesota Democratic Gov. Mark Dayton also injected his viewpoint, saying police likely wouldn't have fired if Castile had been white. Castile had a permit to carry his handgun, and Dusterhoft told the jury about it after the judge overruled the defense's objections. Defense attorneys argued in pretrial proceedings that Castile obtained his permit illegally in 2016 because he was a marijuana user at the time. Minnesota's gun permit application requires applicants to state they don't use illegal drugs. Yanez's attorneys have argued that Castile was stoned at the time of the traffic stop and that it affected his behavior. The jury will hear evidence that Castile had THC — the component in marijuana that produces a high — in his system when he was shot.